As it's coming into Summer I thought I should share my favourite tropical smoothie with you all, featuring one of my favourite superfoods. 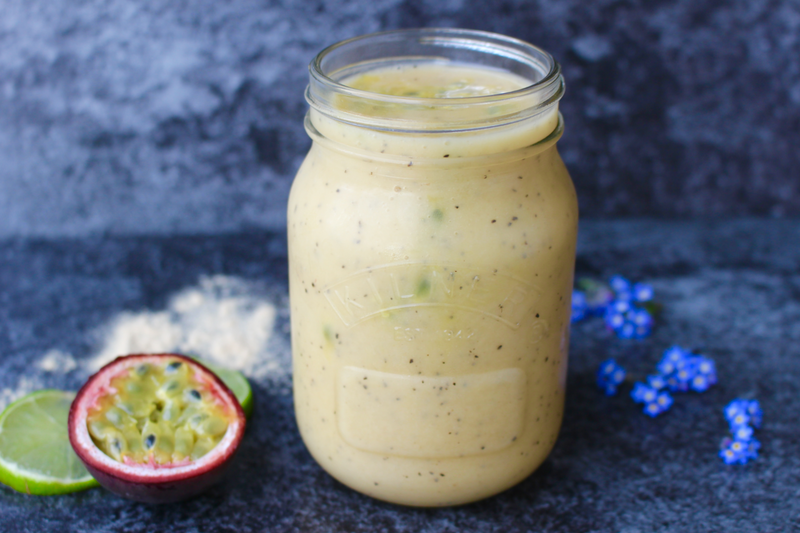 This mango, passion fruit & baobab smoothie with zesty lime is just the perfect afternoon snack, cool drink on a warm day or you could even have it for breakfast perhaps with some protein powder and/or oats thrown in too. It's so filling, so full of tropical flour, so bursting with vitamins and minerals and most important, so delicious! 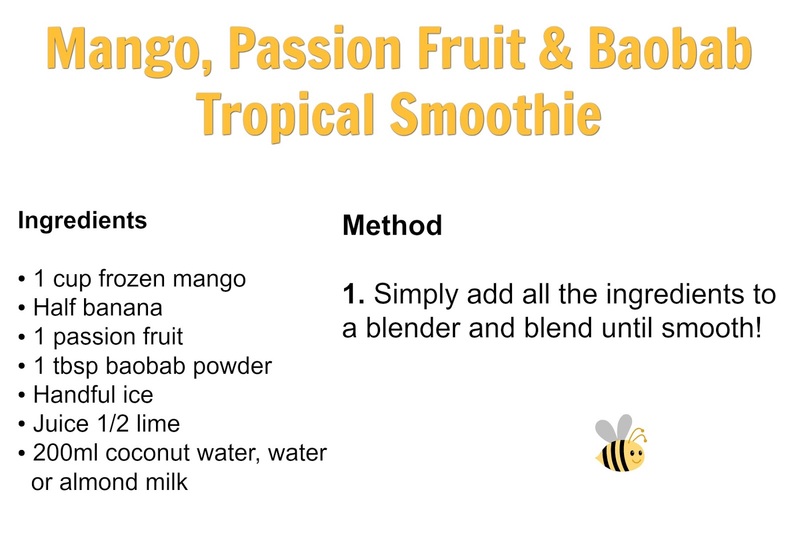 I've used mango in this smoothie as it creates such a thick and creamy texture, especially with the added banana too. It also gives a beautifully tropical taste which is taken to the next level with the passion fruit and lime. The magic ingredient however is Bumbleroot Baobab Powder.....carry on reading to find out why. 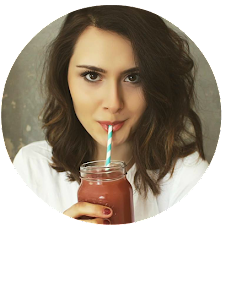 These smoothie is brimming with fruits that are full of vitamins, minerals and anti oxidants to help your skin glow, boost your energy, fight off any colds and just leave you feeling incredible. The ingredient that really adds a huge boost of vitamins is the baobab powder which is one of my favourite superfoods! I've used Bumbleroot 100% Organic Baobab Powder in this smoothie which is super high in vitamin C, is a great source of dietary fibre, has even more antioxidants than blueberries or acai and tastes so yummy! Baobab powder comes from an African fruit that's packed full of nutritional goodness! The baobab tree holds green coloured pods that once cracked open hold a white powder where all the goodness lies! Baobab is most famous for being high in vitamin C - in fact it has six times more vitamin C than an orange! Vitamin C is a crucial vitamin in our body - we need it not only to fight off illnesses but it's also responsible for aiding the growth and repair of tissues in the body, it's vital for skin, bone and teeth health and without the super vitamin our body would become weak and fatigued. So, making sure you're hitting your daily recommended dose of vitamin C every day is important! Luckily, baobab powder is delicious and makes boosting your vitamin C intake really easy - it has a gorgeous fresh, zesty, citrus flavour so it's easy to incorporate into dishes like fruity smoothies, porridge and even guacamole for a zesty kick. 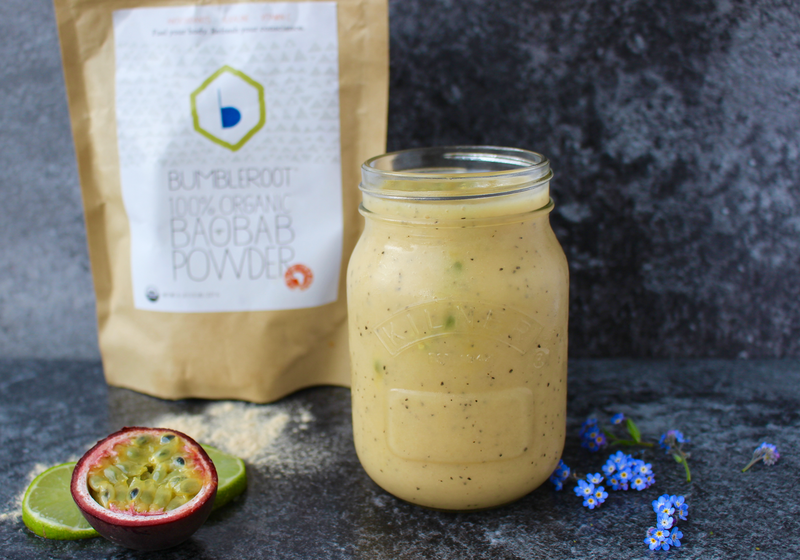 Bumbleroot is my go-to brand for Baobab powder as it honestly tastes way fresher and more delicious than any other, plus it's much smoother and blends into recipes link a dream! Luckily, they just started worldwide shipping so now ANY of you can try it too! Use the code AMELIA to get 10% off your order too! 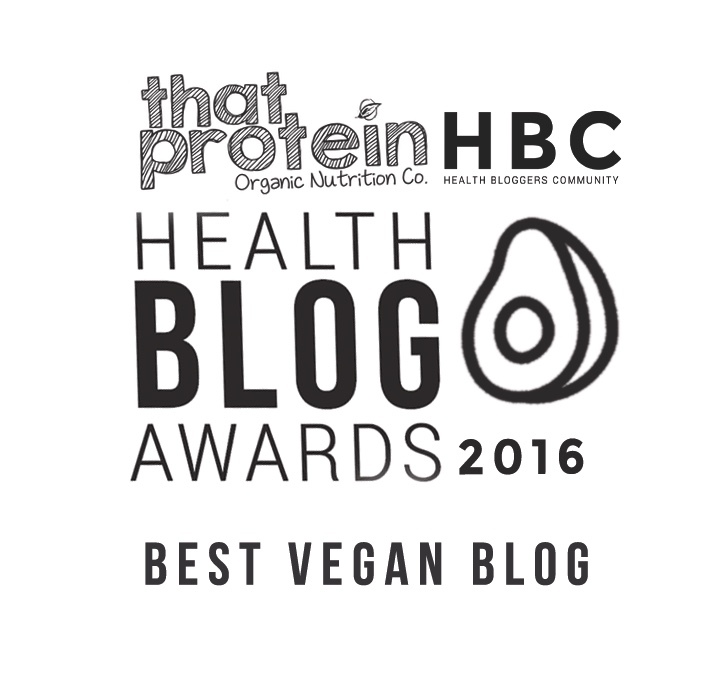 Be sure to check out my other baobab recipes on the Bumbleroot website too, including vegan cheesecake and blueberry & baobab pancakes!